The national construction industry is adversely affected by the depletion of skills most notably caused by HIV/AIDS and opportunistic infections such as Tuberculosis to the degree that SANRAL is championing the workers in the industry which are amongst the most-at-risk given their work circumstances and taken a landmark step to eradicating the scourge on its Routine Road Maintenance (RRM) workers. The implementation of this national programme is designed to assist with their general wellness management by providing tools, one-on-one counselling with a wellness champion as well as a hotline which they are able to call. The programme training subject matter varies from substance abuse and alcoholism, lifestyle diseases management and prevention as well as broader wellness communication campaigns and Wellness Days. In part the nationwide programme focuses on HIV/AIDS awareness and treatment campaign as a key identifier against the spread amongst those most vulnerable to infection. This comes in the wake of good news that South Africa recorded a slight decline in the number of infections between the period of 2005 and 2015. However, as high levels of poverty and drug abuse which are key leading factors leading to infection it still means that about 8,4-million South Africans have HIV and about 155 000 died from AIDS last year alone. 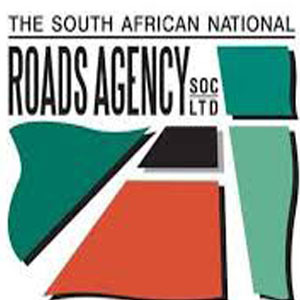 “As a key role player in the roads construction industry, SANRAL has an important role in leading the sector in promoting the wellness of our workers through education and providing opportunities for them to the being regularly tested for HIV/Aids, TB and maintaining a treatment programme post diagnosis,” said Kobus van der Walt, SANRAL’s Western Cape regional manager. The prevalence of HIV/AIDS, tuberculosis and preventable substance abuse is often a result of poor social awareness and is linked to structural factors inherent in the construction sector such as solitary work environments, extended periods spent away from home and inadequate access to health care services. In light of this, the South African National Roads Agency SOC Ltd (SANRAL) has launched a national Wellness Programme for workers employed on its Routine Road Maintenance (RRM) projects. The programme now covers all construction workers, including sub-contractors and their immediate families, working on SANRAL’s roads maintenance projects nationally. Workers from both the Western and Northern Cape provinces have already benefitted from the programme over the past three years as part of an initial pilot project which was successfully run in the two provinces. Now all RRM workers will be provided with free training, counselling and testing for a range of illnesses as well as provide access to healthcare professionals for treatment. To this end some 17 Wellness Champions have already been appointed and undergone SETA-accredited peer educator training during the pilot project. The roads agency has appointed CareWorks HIV Management because of its proven track record in carrying out wellness programmes in South Africa to manage and facilitate the programme within the Western and Northern Cape region. They will be responsible for, amongst others training outcomes, ensuring that all HIV and TB-positive staff gain access to life-saving treatment and that HIV and TB-negative employees acquire adequate knowledge to be able to manage their status. Issued on behalf of SANRAL by Meropa Communications.